How do I manage catalog promotions? 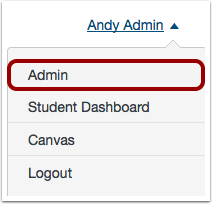 As a Catalog admin, you can manage all promotions in Canvas Catalog on the Promotions page. The Promotions page shows an overview and status of all available promotion codes. Note: Promotions only apply to listings with an enrollment fee. The Promotions page displays the promotion status , name , discount , start date , end date , and code . Status can be listed as upcoming, active, or expired. Start and end dates are not required for promotions. To add a catalog promotion, click the Add Promotion button. To edit or delete a promotion, click the name of the promotion. 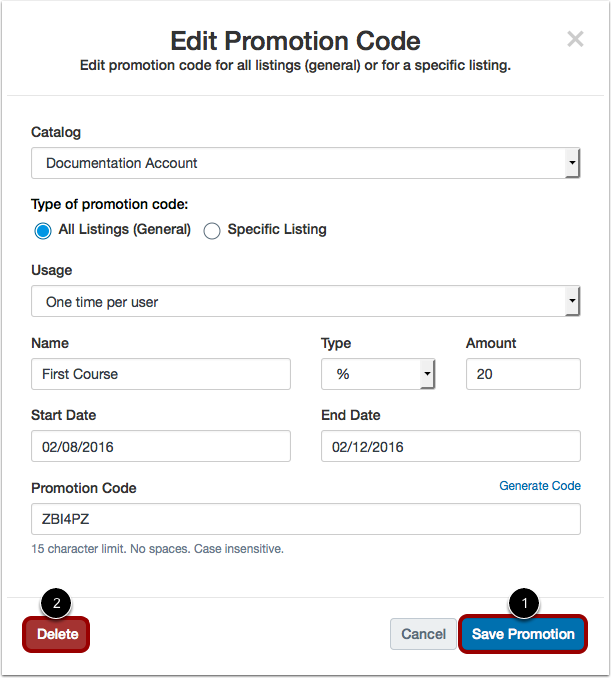 To edit a promotion, update the appropriate fields, then click the Save Promotion button . To delete a promotion, click the Delete button . Previous Topic:How do I add a certificate of completion for a Catalog program? Next Topic:How do I add a catalog promotion? Table of Contents > Admins - Catalog > How do I manage catalog promotions?